Wood Defender has deep-penetrating, modified-oil formula ensures superior results every time in just one application, with no back-brushing. 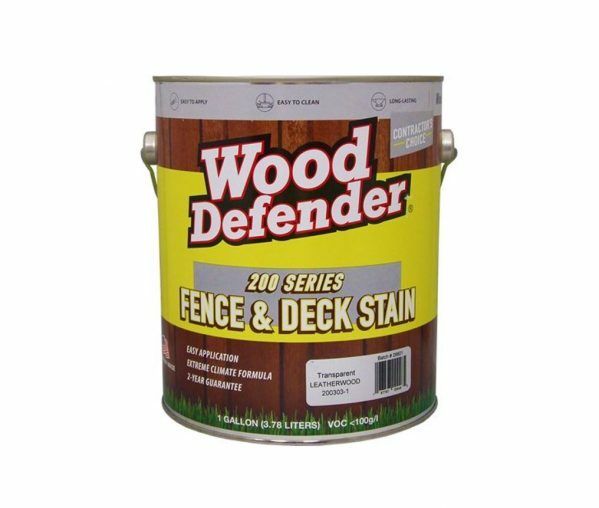 Wood Defender stains wipe off most metal, glass, and non-porous surfaces, so cleanup is much less time consuming. 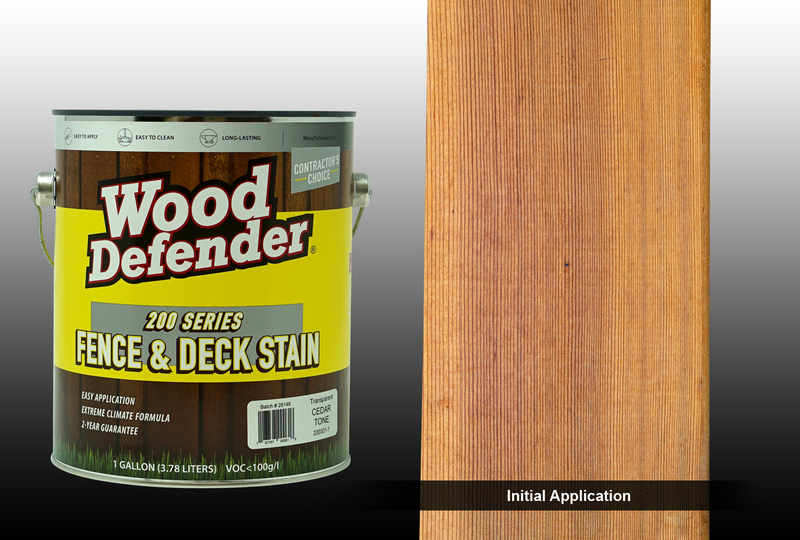 For a streak-free professional finish on your next job, choose Wood Defender stains. NOTE: Ratings are based on initial application only. Weathering tests are in progress but not yet complete. Further information will be added once those tests are finalized.